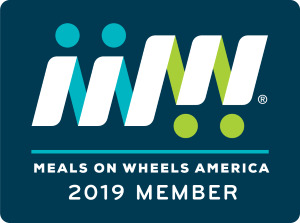 All donations are tax deductible to the fullest extent of the law as Chestnut Hill Meals on Wheels is a not-for-profit, 501(c)(3) charitable organization registered with the PA Department of State. Official and financial information may be obtained by calling toll-free, within PA, 1-800-732-0999 (registration does not imply endorsement). Approximately 40% of our meals are subsidized for those who cannot afford the full cost of our service. There are so many more we could serve if additional money was available to offset some or all of the monthly costs of meals. We submit grant applications to generous foundations asking for assistance with operating expenses and meal subsidies, and they continue to respond graciously. But, there is never enough in our budget to do all we know we can and should to help alleviate this pervasive problem right here in our own community. Chestnut Hill Meals On Wheels relies on contributions from the local community to support our home-delivered meals program. There are several ways you can help provide nourishment and independence for many of your neighbors. You may donate annually, monthly or on whatever schedule fits in with your charitable giving program. You may also donate in memory or in honor of someone special. Please let us know the name and address of the honorree or family and your gift will be acknowledged without mention of the amount of the donation. If your company matches employee gifts, send us the paperwork and we will be happy to submit it to your company.